Recovering the highest possible percentage of original oil in place (OOIP) is an urgent concern in today’s political environment. Oone for which you need the most advanced control system available. 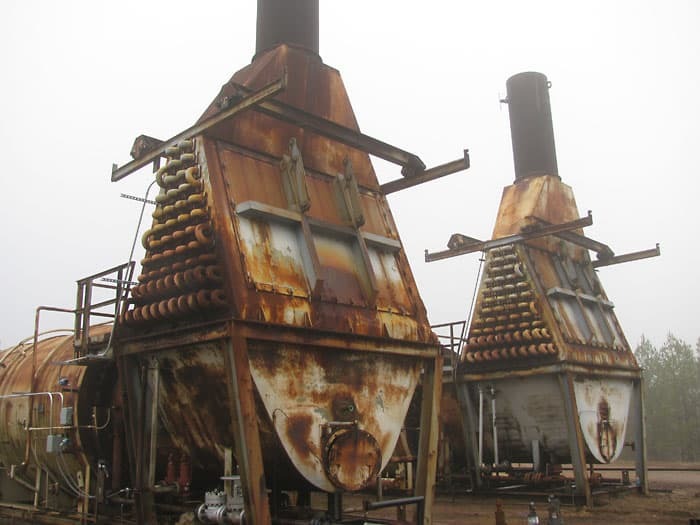 At ACES we’ve combined 50 years of control systems experience with 15 years of steam generator experience, and applied them to the challenges of the enhanced oil recovery (EOR) industry. 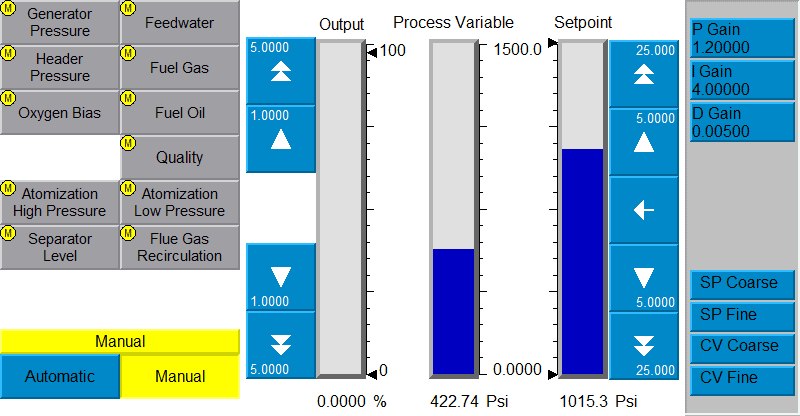 Overview of oil, water, pressure, levels and other main processes. ACES recognized the need for a comprehensive control system that allows the operator to set their own parameters, perform basic troubleshooting and bring their generator within much tighter tolerances. 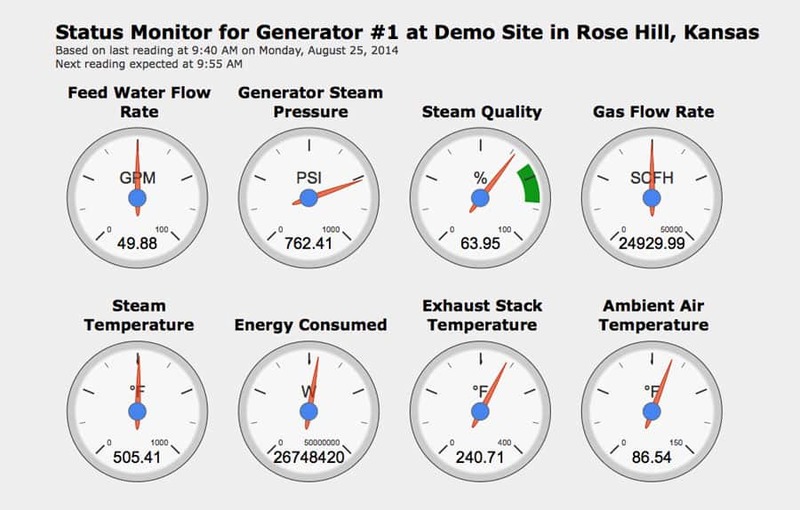 The FlexSteam Control System includes the control panel, PLC, operating system and tablet — plus FlexMetrics, an online dashboard to let you monitor parameters from anywhere in the world. Adjust feedwater, ambient air temp, pilot gas, fuel gas, waste gas and more — without a call to the manufacturer. From a single touchscreen operators can specify essential parameters such as pounds of steam per hour, fuel type, water flow, steam pressure, high and low limits and alarms. They can accurately predict steam discharge quality, track and control emissions — and even perform complete adjustments, engineering changes and operational revisions. Most manufacturers force you to call them for these kinds of refinements, and make you wait for a technician to travel to your location. In contrast, the FlexSteam Control System includes an onboard knowledge base that is continually being updated with feedback from customers just like you. Want to change your steam per hour from 900 to 30,000 pounds? Feel like burning diesel instead of propane? You have the power at your fingertips with the FlexSteam control panel, PLC and operating system. You also have the power from a 200-300 foot radius of your generator with the FlexSteam Tablet, included with the FlexSteam Control System. Enjoy all the power and control you normally exercise from the HMI screen, except from the comfort of your truck. Pull up, fire up the tablet, make your adjustments, consult the knowledge base and be on to the next generator, or next appointment without opening the cab door. Included with the FlexSteam Control System is FlexMetrics, for online monitoring. 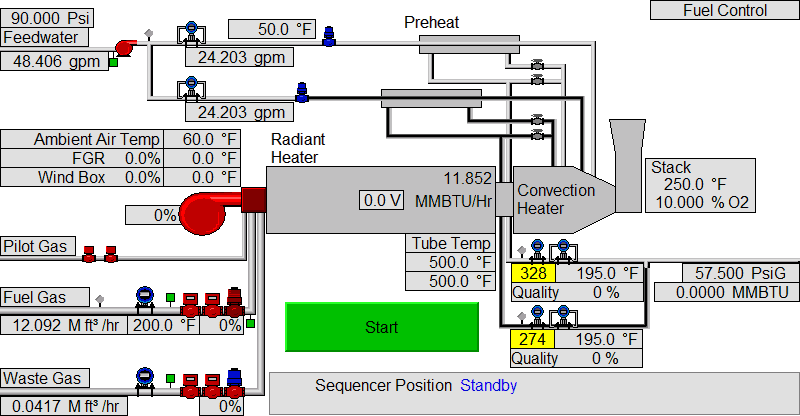 Remotely view current steam quality, feed water flow rate, steam temperature, fuel flow rate and steam pressure, updated in 15-minute intervals, and load customized historical charts of those same values. With a landline modem, cell modem or Internet connection installed in your FlexSteam Control System you can transform your laptop, smartphone or tablet into a remote dashboard for your steam generator anywhere you access the Internet. 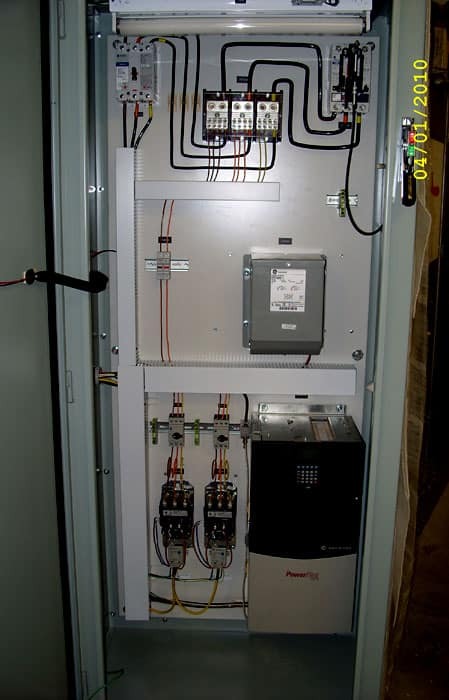 The FlexSteam Control System installed in a Texas generator. We’ve also installed panels in Canada, Egypt, Columbia and more. It’s not uncommon for our customers to see a 20% increase in fuel-to-steam efficiency after installing the FlexSteam. Thanks to higher steam quality, lower fuel costs, improved emissions control, automation, and ease of use, the FlexSteam can pay for itself in as little as a year or two. With all of this customization and control you might expect a tedious set-up process. And you would be wrong. We’ve done all the work up front to standardize the FlexSteam Control System, and have tested and commissioned it on steam generators of all sizes and vintages, all over the world. If you’re looking for complete automation, reduced fuel consumption, tight control of steam and emission levels, remote monitoring, customizable parameters and a constantly-improving knowledge base, all in one simple package, you’ve come to the right place. Contact ACES for a free quote to see how smoothly your steam generator could run with FlexSteam. One of ACES’ previous projects: 50 MM Btu/hr steam generator. We can also provide a turnkey solution to renovate the generator itself, as well as the control system, by teaming up with one of our experienced partners.